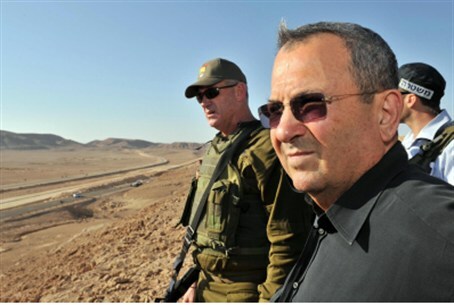 Defense Minister Ehud Barak has asked the High Court for more time amid an internal government row over settlement policy. Attorneys for the government filed a motion asking Israel's High Court to extend the deadline for them to file their position on the destruction of neighborhoods and communities in Judea and Samaria (Yesha). The petition, filed on behalf Defense Minister Ehud Barak and the IDF commander in Yesha, said "the respondents need two more days in order to formulate their position." The petition is the second request for an extension. Last Tuesday the High Court extended the deadline for the government to file its petition until November 8. Barak's request for more time comes amid reportedly heated discussions between the Prime Minister's office, Defense Minister's bureau, and the office of the Attorney General. Prime Minister Binyamin Netanyahu has found himself at odds with an overwhelming majority of the lawmakers in his faction, who regard the destruction of threatened communities like Amona, Givat Assaf, Migron, and Beit El's Ulpana neighborhood as ideologically untenable. Netanyahu has also been presented with a demand by six faction heads - representing a majority of lawmakers in the Knesset - that he find a way to normalize Jewish communities under threat of destruction rather than carrying out demolition orders. The government's internal war over demolition orders comes in the wake of a controversial ruling by the High Court that all 'disputed' private land (not held by the State) in Judea and Samaria was 'Arab land.' by default. The court - which maintains that demolition is the only option in the case of land 'disputes' - also did not review the authenticity of claims for land ownership, because the High Court does not deal with evidence, leading critics to charge the court had issued an ideological ruling under the guise of law. The land ownership issue was brought to a lower court, and the Arab claimants withdrew their case on Monday night before it could be heard, indicating that their proofs were not convincing. Initially, Netanyahu sought to form a committee that would review evidence of private Jewish land ownership in order to normalize the threatened communities, but Attorney General Yehuda Weinstein insisted the committee could not review cases on which the court had already issued a ruling. Netanyahu tried to convince his faction to accept Weinstein's position on the committee - abandoning the threatened communities - but has found influential members of his faction have dug in. Yariv Levin went so far as to say any demolitions could "split the Likud." Barak, who has long advocated policies limiting Jewish land-ownership and construction in Judea and Samaria, has therefore found himself at odds with a Prime Minister faced with a political problem that could - should his faction split - bring down his government. Neither can Barak, who’s break-away Independence faction has yet to poll well enough to pass the electoral threshold to enter the Knesset, afford to go to elections. It is unclear what the Netanyahu government will do should the court deny Barak’s motion.